Support the Friends of the Essex Fall Tune-Up Soccer Tournament! Your donation/sponsorship will directly support youth soccer in West Orange and Livingston, New Jersey. 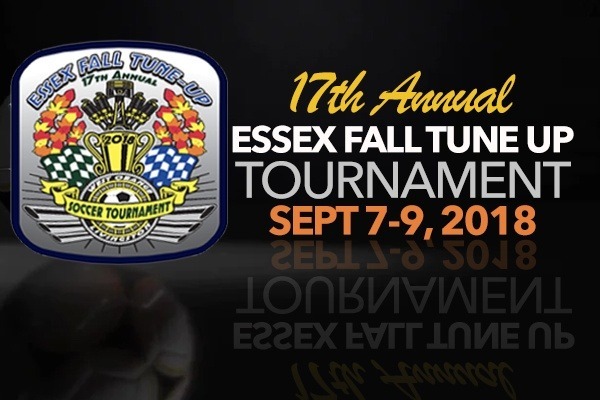 The Fall Travel Soccer season begins with the Essex Fall Tune-Up Soccer Tournament ("EFT") . This year's Tournament will be held on September 7-9, 2018. The EFT is jointly hosted by the Livingston and West Orange Soccer Clubs and is specifically intended to benefit our players, coaches, managers, and parents. The primary purpose of the EFT is to provide the opportunity for our teams to play competitive games prior to the start of the regular season. 100% of the net proceeds from the EFT go directly to the two clubs to defray the costs of their Travel programs and encourage expansion of the programs for future generations. We really need your help to make this effort a success. When you donate, you can place a personal message honoring your own child and/or their team -- Grandparents, Aunts, & Uncles can place personal messages too and even local businesses are able to support/donate youth soccer in this fashion.